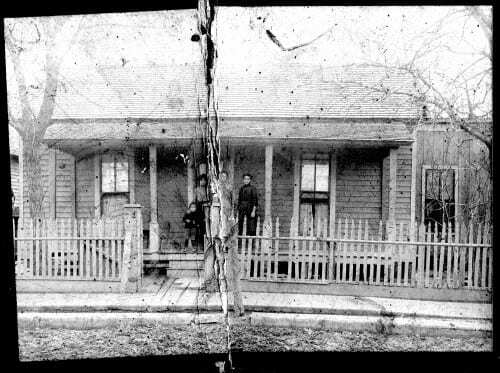 What appears to be a child and three adults, all African-American, on the porch of a Dallas home, undated. Courtesy Dallas Historical Society. Used by permission. “Men people on porch.” Undated, accession number V86.50.198. Courtesy Dallas Historical Society. Used by permission.